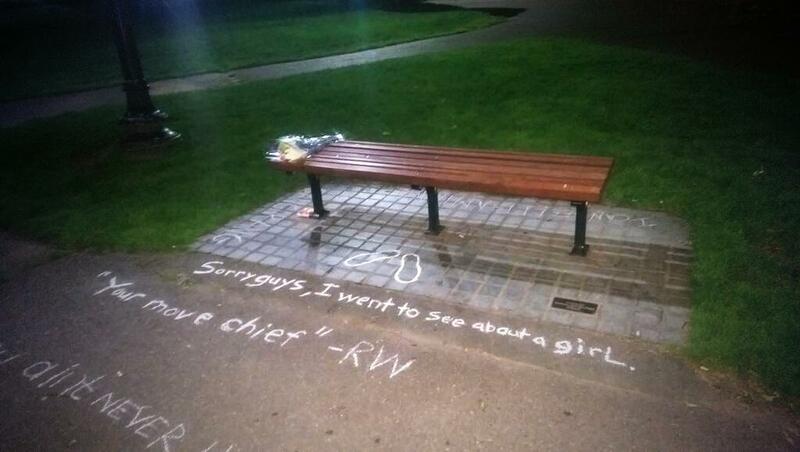 Fans of the legendary actor and comedian Robin Williams, who died Monday, turned a bench where Williams and Matt Damon shared a scene in the classic Boston movie “Good Will Hunting’’ into a makeshift memorial Monday night, leaving flowers and writing quotes from the film on the ground. A petition has been created to place a bronze statue of Williams seated at the iconic bench. On Tuesday, people continued to add messages near the bench.